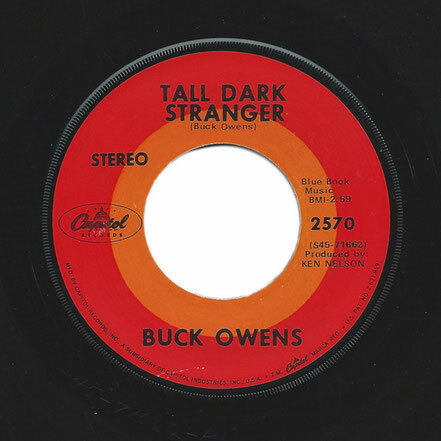 "Tall Dark Stranger" is a 1969 single written and recorded by Buck Owens. "Tall Dark Stranger" was Buck Owens' twentieth number one on the country chart, spending a single week at the top and a total of thirteen weeks on the charts. 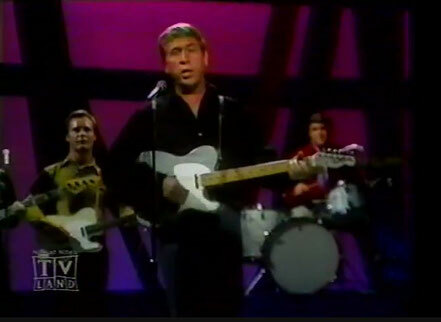 A video for the song was taped for the TV series Hee Haw, on which Owens was a co-host. The video is set in a wild west town, and during the musical bridge the song's main theme – a handsome stranger, tall and dressed in black clothing, stealing the heart of a young man's girlfriend and the woman riding off with him – is played out, said incident happening as Owens (cast as the protagonist) and the woman are walking out of a saloon. The video has since aired on Great American Country and CMT.